We are manufacturer and supplier of fine bubble disc diffusers for aeration system of waste water treatment plans. We are offering a wide series of Disc Diffuser and fittings that are needed in daily life. The back stops of these valves to avoid counter flow and well equipped. It has PVC soft connector can be installed directly without and other auxiliary tools. They are operated very easily. They are working on the high oxygen transmission efficiency. They are very polymer and very easy to light. 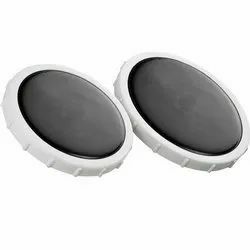 We are offering a wide series of Fine Bubble Disc Diffuser and fittings that are needed in daily life. The back stops of these valves to avoid counter flow and well equipped. It has PVC soft connector can be installed directly without and other auxiliary tools. They are operated very easily. They are working on the high oxygen transmission efficiency. They are very polymer and very easy to light. 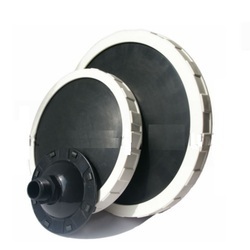 Coarse Bubble Disc Diffuser is used for aeration for waste water treatment. They are very simple and sturdy. Its upwardly convex dish is covered with the EPDM membranes, which encompassed the rim of the dish and perforate. They have a capability to work for a long time. They are used for die cutting. They are mounted with the stainless steel. They are very light in weight and easy for maintenance. Features DO level maintain, BOD, aeration, oxygenation. We are a manufacturer and supplier of all type of Plastic Air Diffuser world wide.